Handcrafted by skilled artisan blacksmiths here in America, the Block Corbel features a series of intersections in the center creating three distinct blocks. The Block Corbel maybe used to support granite & stone counter top overhangs, bars, heavy shelves, fireplace mantels and much more. 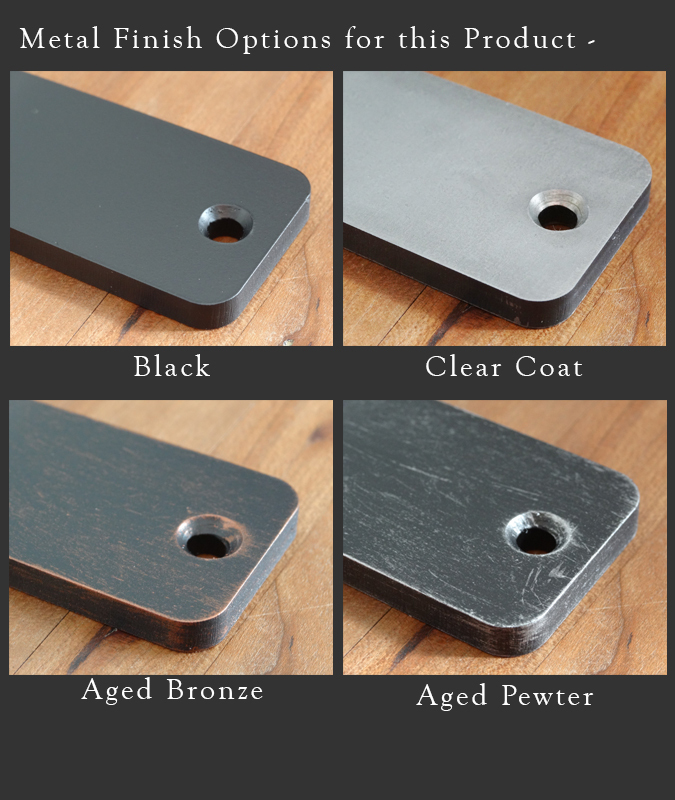 This sturdy iron bracket is available two finish options that include Matte Black or Matte Clear. Note: This corbel has a 1/4" thick Hand Hammered Iron L bracket with 2 holes on the back plate and 2 holes on the top plate. Mounting Hardware: Not Included - A total of 4, 3/8 inch diameter holes are drilled into the bracket. 2 holes on the back plate and 2 holes on the top plate. Room: Kitchen, Bar Room, Living Room, Garage, Basically any room in your home or cabin where you could use an iron support bracket. Use: This corbel can be used as a granite counter top support, shelf brackets, bar brackets, mantel brackets and more.